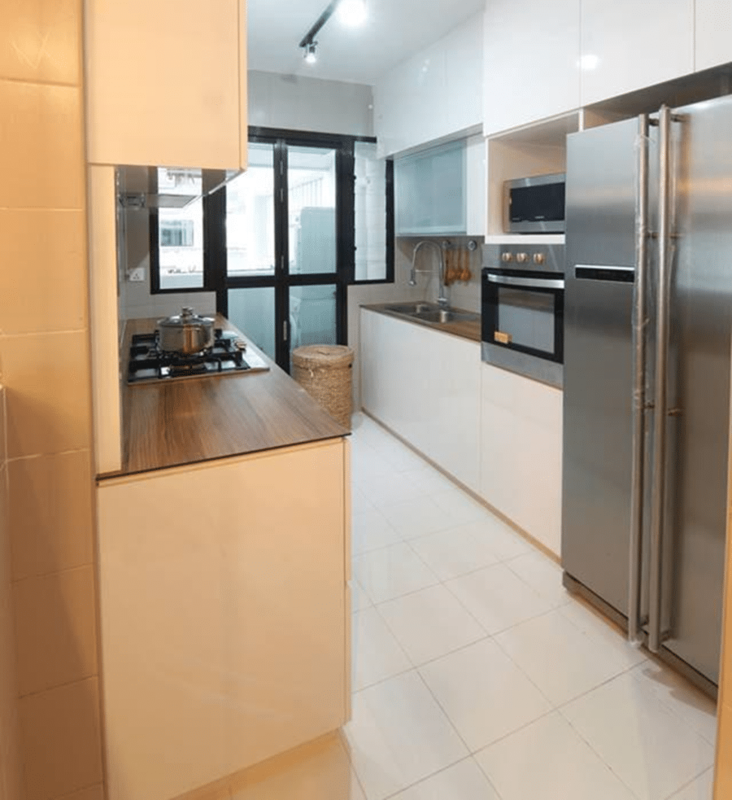 You all desire to have a comfy and sophisticated place to cook and enjoy eating your meal, the design of a home's kitchen is extremely essential. 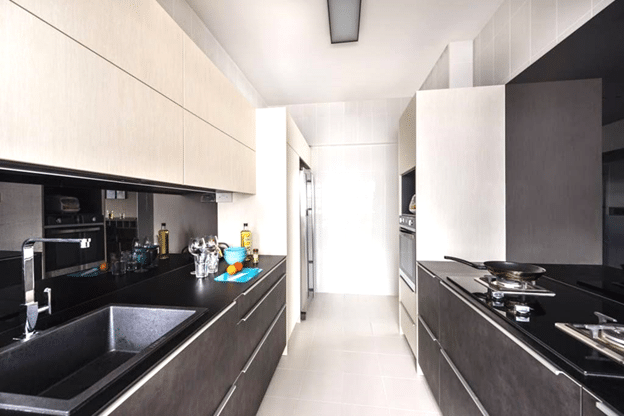 The designs included here are not just trendy, but every kitchen rejoices its own form of minimalism with spotless appearances, deluxe feels and calm, neutral colors designed by our diligent interior designers. Take a look at some remarkable sleek designs with perfect minimal elements which you must consider for your home. This neutral color of this interior looks seamless with white beautiful . The lovely subway tile flooring makes a great addition to this kitchen designed by Euphoric Designs. The black and white peaceful shades make this design minimally perfect. designed by Rezt n Relax Interior . The black counter pots with perfect black cabinets give this kitchen an awesome appearance. The gorgeous white design with rustic wood flooring brings sleek and stylish charm to the area. The minimally decorated room looks awesome with clean and fresh lines. 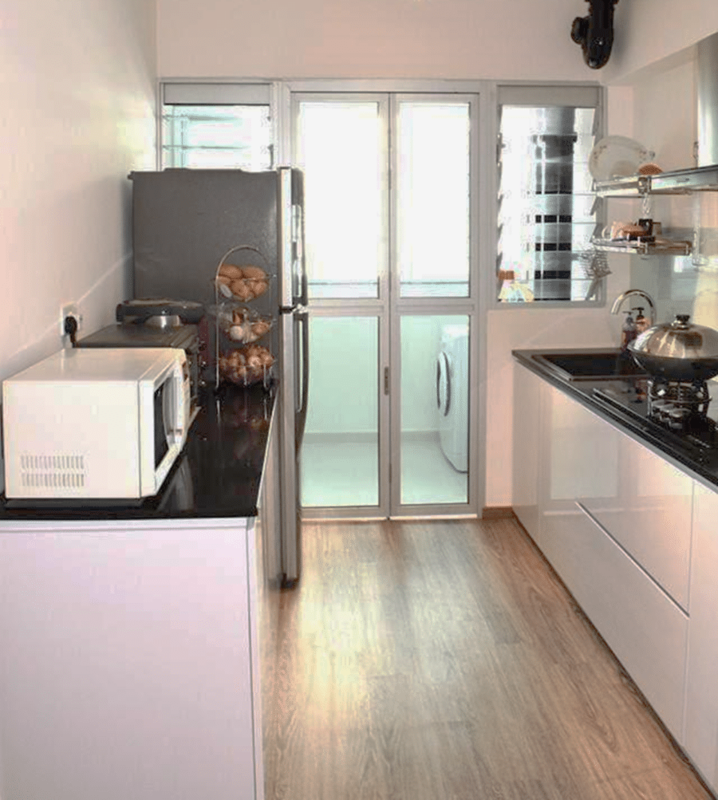 This minimally decorated interior bring a pleasant appeal to the area with perfectly stylish open kitchen wood stools. 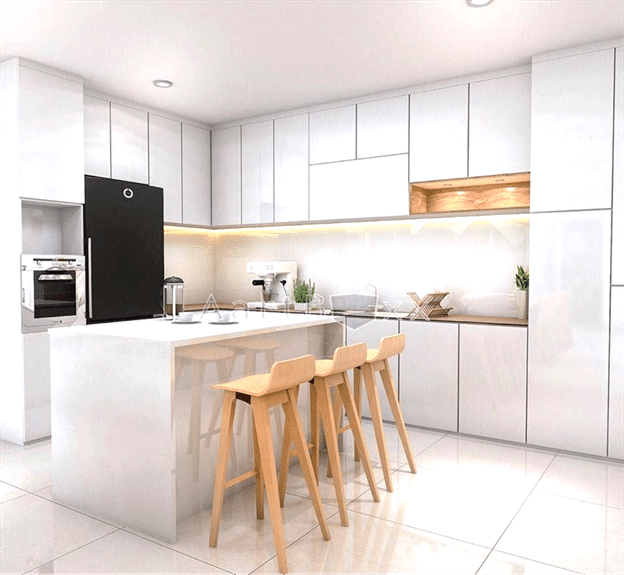 The wood stools add a unique element to this all white kitchen designed by Aart boxx Interior. The beautiful blend of gray and white warm hues brings a pleasing appeal to the area with perfect bench style small dining table. The gray counter pot looks amazingly charming with stylish hanging lights. 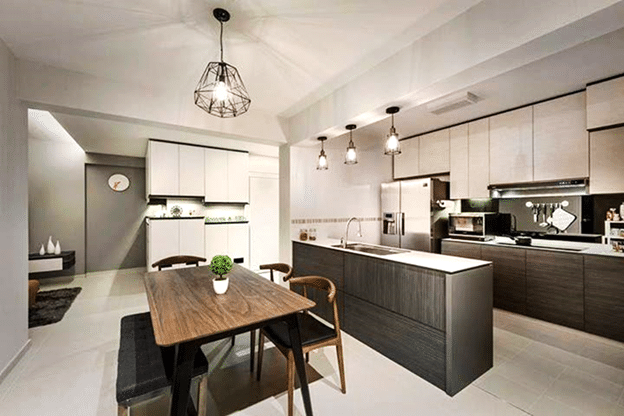 Renovate our kitchen with these sleek and stylish designs which focuses on the simplicity and neutral accents.